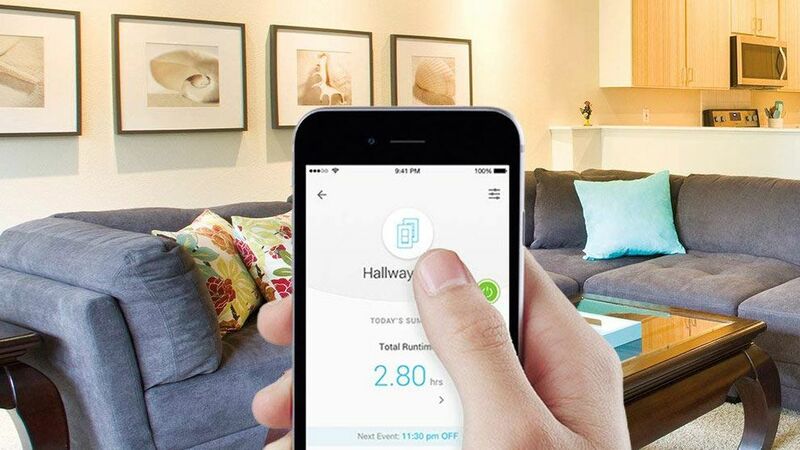 If you’re interested in upgrading your space into a smart home, then today is your day. Amazon is having a one-day sale on TP-Link devices that include smart plugs, lighting bulbs, power strips and more. All of the products we’ve listed work with Amazon Alexa and can make day-to-day tasks more manageable. A standout deal from today’s sale is the Kasa smart light switch that’s available for $39.99. That’s a $20 discount and the lowest price we’ve seen for the 3-way switch. The Kasa kit includes two smart switches specially designed to work with 3-way switch wiring. Once installed and connected to your Wi-Fi your lighting can be controlled from anywhere using the Kasa App. The light switch also works with Amazon Alexa and the Google Assistant so you can manage your lighting with the command of your voice. Another convenient feature is the ability to set schedules. You can personalize your lighting to turn off and on at specific times during the day and will even adjust automatically to sunset and sunrise times. Shop more of TP-Link’s smart home device deals below and remember the discounts are only valid today (Wednesday, April 3). Shop more smart home deals with the best cheap smart home devices and gadget deals that are currently going on. You can also shop best cheap Amazon Echo prices, deals and sales and we also have the best Ring Doorbell deals.